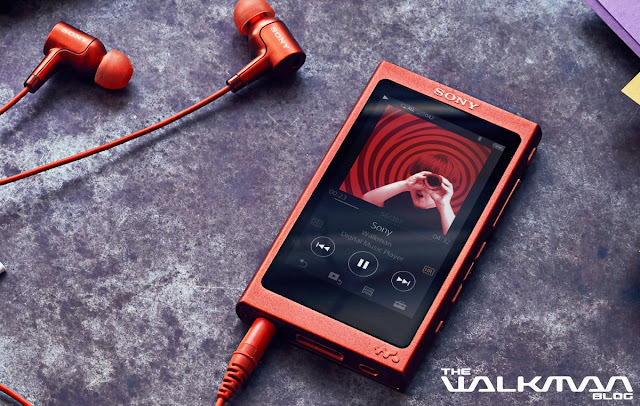 Sony today has unveiled the new (updated) A-Series Walkman at IFA 2016 today. Sadly there was no separate press release (I have added the Asia Pacific Press Release at the end of the post) for the new A-Series since Sony seemed to want to focus more on the high end WM1 model. UPDATE: While not 100% confirmed, there is a rumour that the A30 will not ship in Europe until early 2017. If anyone has any information regarding availability of the new A30 in Europe, please contact me or leave a comment below. It appears Sony has finally decided to upgrade the design, opting to increase the screen size to 3.1 inch (800x480) and adding touchscreen capability. The new touchscreen introduces an updated UI finally but little information can be found on this topic currently. But like its predecessors, the new A30 keeps the tradition of physical controls alive. The right side of the unit features the On/Off switch, volume keys, play/pause, FF/FW and the hold buttons. The new A-Series like the A20 is High-Resolution Audio compatible and features a S-Master HX amp and DSEE HX. Micro-sd card remains but has been moved to the left side of the unit. Dimensions have also changed, 55.9 x 97.5 x 10.9 mm and 98g, making the new A30 less taller, more wider, slightly thicker and 32 grams heavier. A small gallery of photos and 2 videos from Sony can be found at the end of the post. The new A30 will ship in 5 different colours, Lime Yellow, Viridian Blue, Charcoal Black, Bordeaux Pink, and Cinnabar Red. The colours are similar to the previous A-Series in order to maintain a similar sense of colours with the h.ear on line of products. Noise cancellation remains onboard but only the 32GB model will ship with NC headphones, whereas the 16GB will be without any headphones in the box. In addition to the wide range of supported file types, Sony has added support for the DSD format. This format is able to provide much higher audio than the other formats, and even PCM according to some. While I doubt I will ever use DSD, I am sure there are audiophiles out there that have the format on their computers and would love to use it on their portable media players, such as the new A-Series. The standard enhancement features remain, 6 band EQ, ClearAudio+, Clear Phase, Dynamic Normalizer, DC Phase Linearizer and VPT. 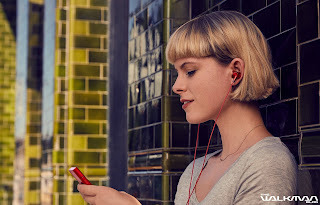 Bluetooth streaming supports LDAC and I would imagine aptX as well since the previous A-Series also supported it. Battery life is rated at 45 hours for 128 kbps MP3, with high resolution playback at 30 hours (NC off) and 27 hours (NC on). 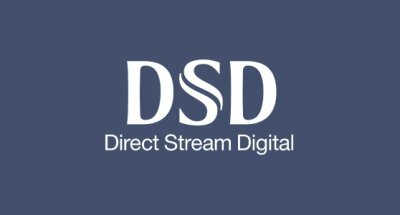 DSD playback is 25 hours (NC off) and 22 hours (NC on). It seems the extra weight went into battery but it still falls short of the 50 hours of playback of the A20. Pricing has not been announced but I imagine it will be more expensive than the current A-Series, but it also depends which model one buys and if it will ship with or without headphones. Of course no every region will get each model, Sony Asia so far only features the 16 and 32GB model. 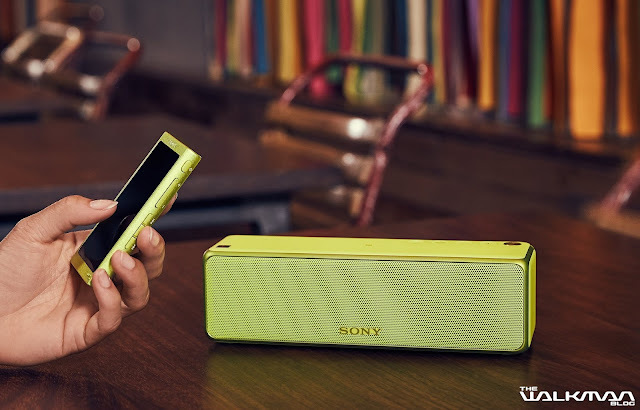 Sadly the device is not present on the Sony US site or any European Sony sites. So perhaps Sony Europe is still contemplating which model will be sold. Hopefully this happens soon as the expected on sale date for the A30 is October 2016. Sony lets you enjoy your music in style with high-resolution fashion at IFA this year thanks to the debut of theWalkman® NW-A30 Series. 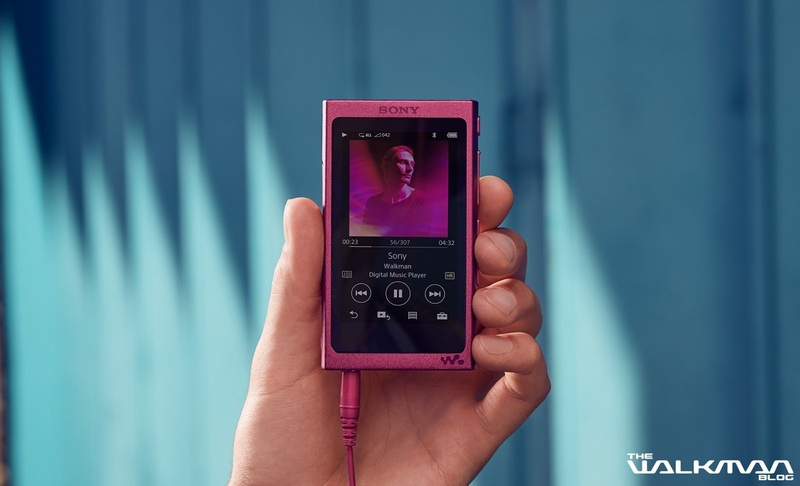 Emphasising on fashion and individuality, the new Walkman® NW-A30 has an evocative and vivid design that is easy to relate to, making sure that it is a perfect match for anyone’s lifestyle. Couple that with immaculate audio clarity, intuitive user interface, and quality wireless playback, you’ll always be at the heart of the music you love with new Walkman® NW-A30. 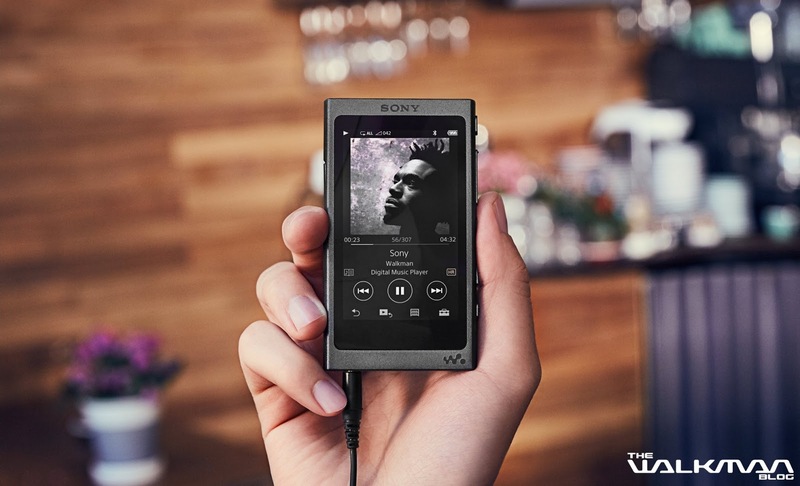 The new Walkman® NW-A30 offers breathtaking audio on the move with a combination of premium audio technologies to ensure incredible quality for all your tracks, including support for DSD formats1. It is equipped with five POSCAP™2 capacitors that strengthen the power supply for the S-Master HX™ digital amplifier, cutting distortion and noise across a wide range of frequencies. Furthermore, the new Walkman® NW-A30 has two clock oscillators that are switched to provide optimal modulation for the sampling frequencies of each content increasing the clarity of each sound and improving the sense of stereo, so that you can hear every breath, every drumbeat, every note. 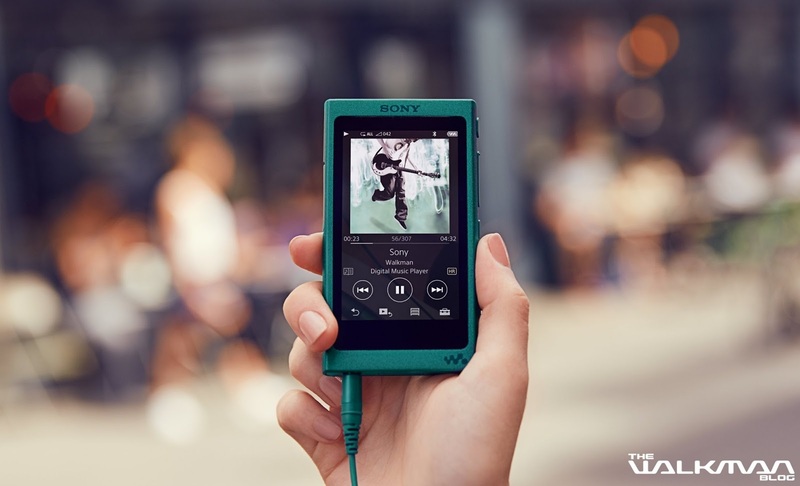 Conveniently portable, the new Walkman® NW-A30 is compact and weighs just 98g. 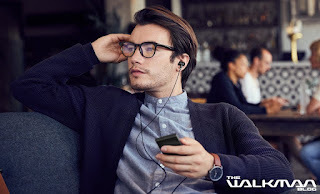 It is also Bluetooth® and NFC-enabled so you can connect wireless to your speakers or headphones – free from the restraints of cables. The Walkman® NW-A30 is also optimised with an extended battery of up to 45 hours (MP3) or 30 hours (Hi-Res Audio) from a single charge, so that you can enjoy long hours of music in style just about anywhere you go. 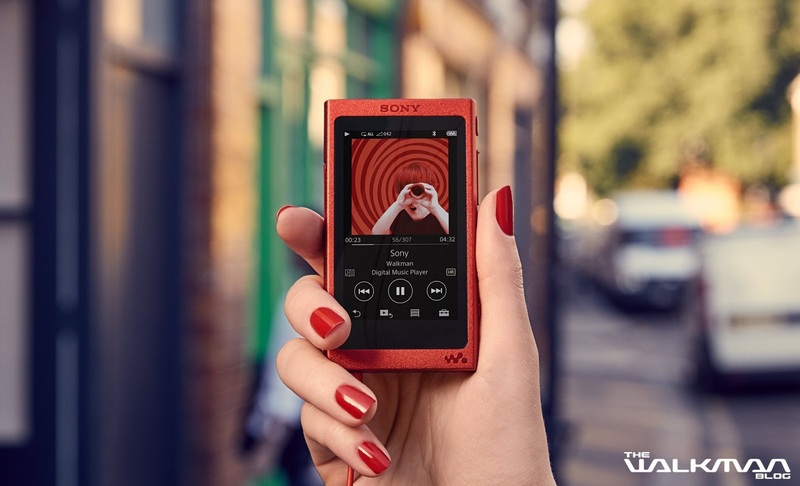 Featuring an improved 3.1-inch touch-screen and intuitive user interface with side keys for convenient control, the Walkman® NW-A30 excels at usability. It is available in 16GB (A35) or 32GB (A36HN) built-in memory that is expandable with a microSD card to store large music libraries. It is best paired with the supplied Hi-Res Audio Digital Noise Cancelling in-ear headphones (A36HN only) for reduced ambient noise. 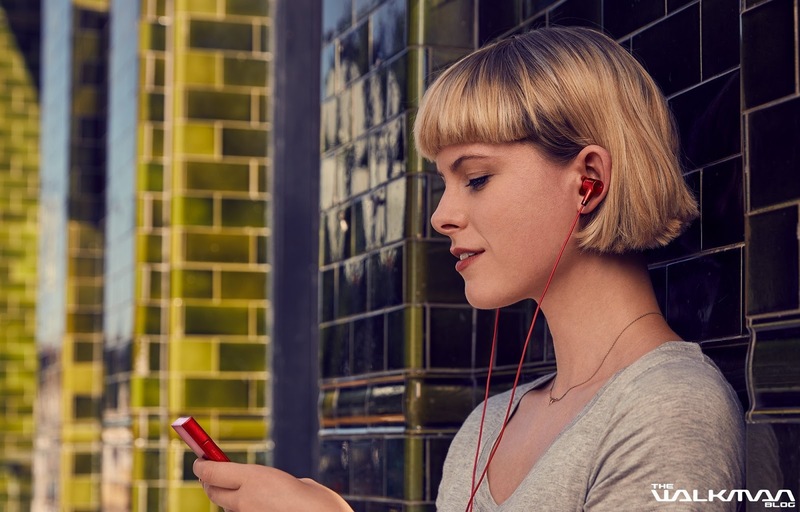 The new Walkman® NW-A30 will be available in selected Asia Pacific countries from September 2016 in five eye-catching colours: Viridian Blue, Cinnabar Red, Charcoal Black, Lime Yellow, and Bordeaux Pink – the perfect match for the h.ear series headphones. Hopefully an A37 model (64GB) appears as well. 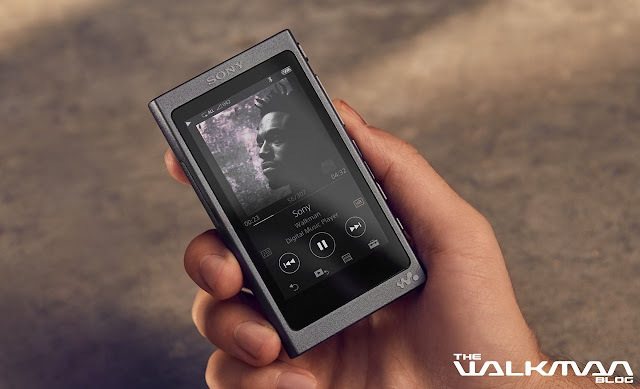 Vikeviki, depends, at this moment not sure if the sound quality will differ much from the current A-Series, once the new A goes on sale I am sure comparisons will be online, but if you need a new walkman now, I feel grabbing an A20 now is the best option. 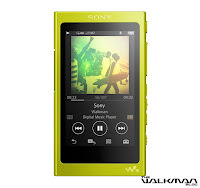 @Tony, the A37 will be available in China, in all 5 colours according to their sony website. I feel the 64GB may be available in the US, along with the 32GB model. Insider tip: there is really an A37 in production. I'm very upset with Sony once again, all I wanted is the Trash Bin option, why is it so hard to include it? what is the trash bin option? If it was Android OS (so I can use Spotify) it would be a winner, instead we get an old OS. Why no Android SONY, you use it in your phones? One thing that confuses me, Sony Asia specs for the A30 (http://www.sony-asia.com/electronics/walkman/nw-a30-series/specifications) states in Playback and Display that AAC-LC (non DRM) is not supported but in the Audio Playback section it states that AAC-LC (non DRM) is supported, does an one know if it supports AAC? Fair point, the AAC confusion needs to be sorted out, but past models have supported AAC, so I don't see that changing, though clarification would be ideal. What I would like to know is what is the maximum size of microSD supported? I wouldn't go by the Playback & display section since it states No FM Tuner but later on down the menu, it has an FM Tuner section and it states Yes. AAC (non drm) is supported like previous walkmans. 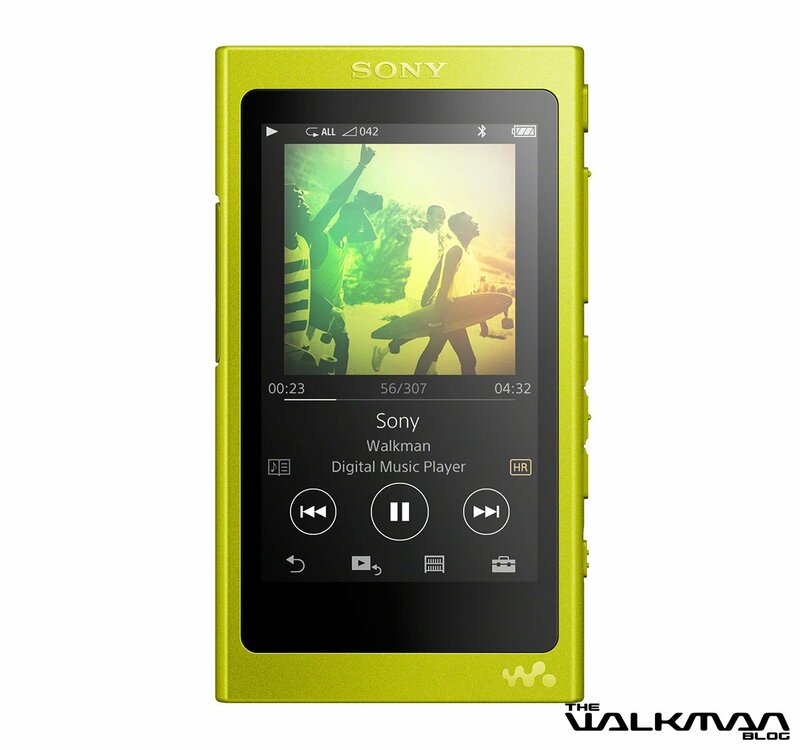 The previous A20 Walkman did support AAC-LC. I was hoping to get a WM-1a, but it's pricing is a bit steep, specially since it doesn't include WiFi, something I'd rather have in a high-end device. I may give the new A30 series a try and get one of them instead. Why no UK/EU release date? I know Sony want to push their expensive models (which I think will not sell well), but being realistic most people will buy a sub £500 DAP. It also seems strange that they don't seem to mind missing the Christmas market for these devices. It's good that this is a touchscreen device, I don't know what Sony were think of in releasing non touchscreens ZX1000 and A20's, I remember before touchscreen drvices the problems of changing tracks from listening to AC/DC to ZZ Top, the introduction of touchscreen was a godsend if you had a big kibrary. The rumour of an early 2017 release is just a rumour for now and not confirmed, but Sony Europe is not providing any information on concrete release date. 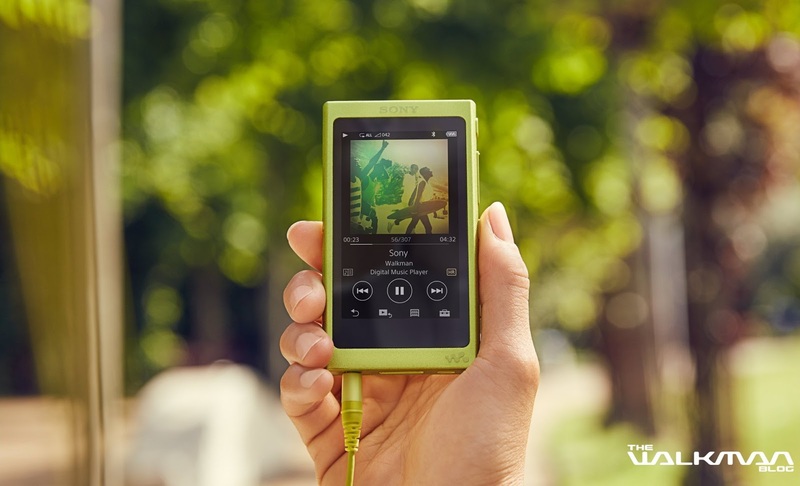 Perhaps the mp3 player market is not as popular as it used to be in Europe and stock is first going to Asia. I read in headfi today that the A30 will be launched in Japan on the 29th October. Hopefully a European release is in the works, also hopefully (though not likely)the 64Gb model will be released here. All the IT courses I have been on stress that you can never have enough memory, with big lossless/HiRes collections you can never have enough - hopefylly Sony will take note.